Ragz Enterprises Inc. is a company that contains three clothing boutiques located in Carlsbad, owned and managed by Megan Oberski. 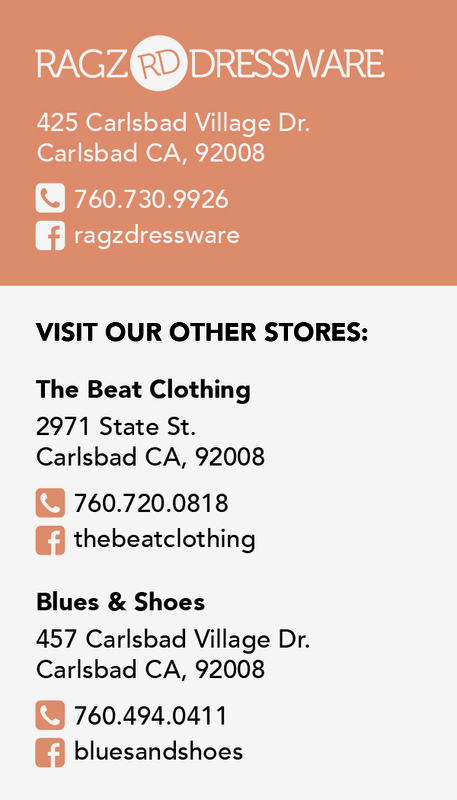 The stores include Ragz Dressware, Blues & Shoes, and The Beat. Megan had one business card for all three stores, but she wanted a unique card for each store that would also work as a series. She also requested a personal business card. 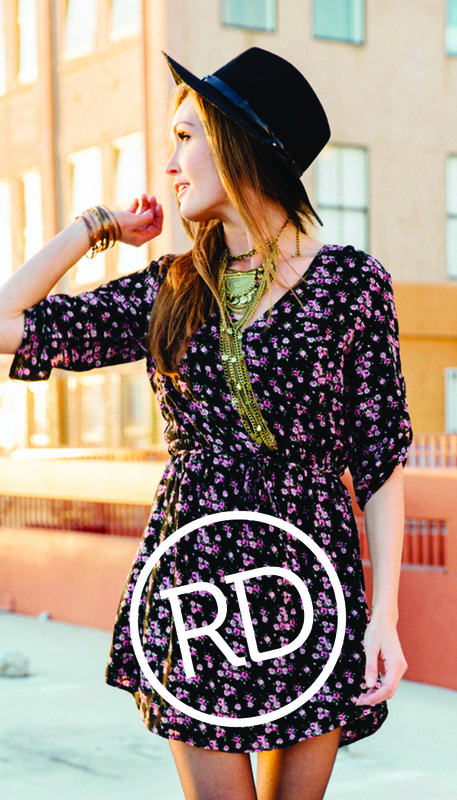 All photographs are stock photography and picked thoughtfully to match the clothing style of the store.